The Oakridge School Early Childhood Center will join thousands of pre-schools, daycares, and other groups across the country in sponsoring a St. Jude Trike-A-Thon event to benefit St. Jude Children’s Research Hospital, one of the world’s premier pediatric cancer research centers. The week-long event teaches bike and riding-toy safety lessons using interactive stories featuring characters like Bikewell Bear and Pedals the Bunny. 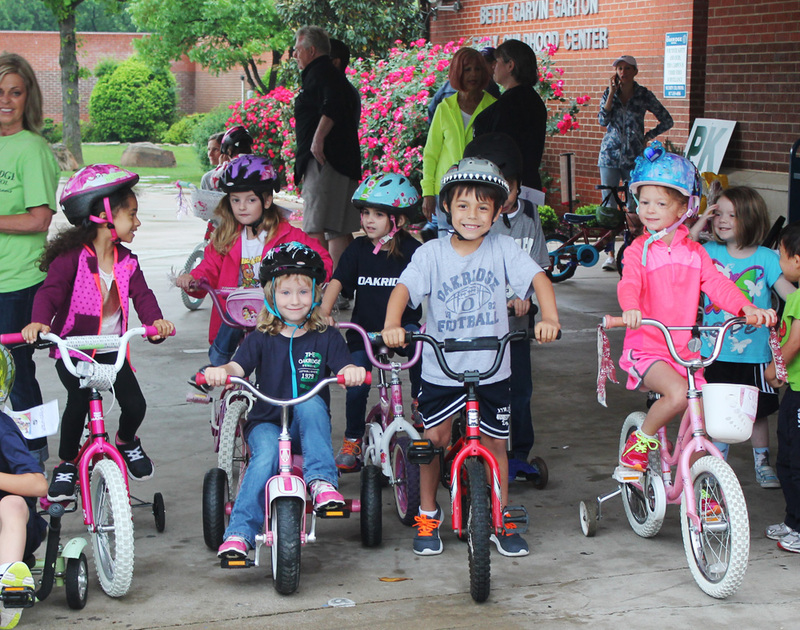 At the end of St. Jude Trike-A-Thon week, students will bring their tricycles to school to practice their newly learned safety lessons on April 29 from 8:30 - 11:00 am. In addition to safety lessons, children learn about helping others, including the patients of St. Jude. Families, friends, and the community team up to support the hospital by pledging a donation for St. Jude Trike-A-Thon Week. This is the 24th year that The Oakridge School has supported the St. Jude Trike-A-Thon and Math-A-Thon program. The school has raised approximately $68,000 since it began in 1990. Last year the Trike-A-Thon raised $4,468. For more information on how to make a donation, contact Betty Garton at (817) 451-4994 x2716.